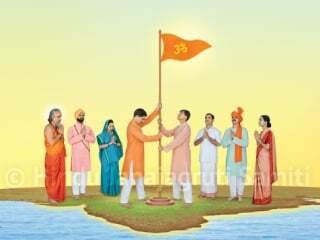 Mumbai : Hindu Janajagruti Samiti (HJS) successfully held ‘Hindu Rashtra-jagruti Sabhas’ at 6 places in 2 days with single speakers. Encouraging response received by these ‘sabhas’ show the trust developed by devout Hindus towards activities undertaken by HJS. A report on these ‘sabhas’ is given here. False accusations were made against Sanatan Sanstha but hollowness in such accusations is coming to light with time. Hindu Dharma is being attacked through various ways and establishing Hindu Rashtra is the only solution on the same. ‘Sadhana’ and ‘Dharmacharan’ is required for leading stress-free life, stated Sou. Mamata Desai of Sanatan Sanstha while addressing ‘Hindu Rashtra-jagruti Sabha’ held at Shiva-Ganesh Mandir at Nanepada. The ‘Sabha’ was attended by 67 devout Hindus. Shri. Madhukar Mhatre, the President of ‘Nanepada Mitra Mandal’ provided temple’s place for the ‘sabha’ without any charges. Hindus’ daughters are taken away through conspiracy of love jihad in systematic manner. Christian missionaries are converting Hindus, taking disadvantage of their poverty by offering them baits. There is no alternative to establishing Hindu Rashtra for solving all such problems. Unification of Hindus is the need of the hour, stated Shri. Rohan Patene of HJS while addressing one-speaker meeting held at Shri Sankalpasiddhi Ganesh Mandir, Motilal Nagar. The meeting was attended by 60 devout Hindus. 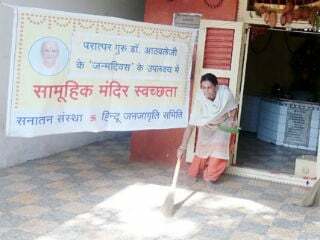 One devout Hindu woman showed interest in organizing various drives undertaken by HJS at her pre-primary school and also motivated other women to join. Shri. Lanjekar, the temple-trustee, temple-Priest Shri. Pramod Prabhughate, Ganesh Decorator and Shankar Decorator; so also Shraddha Classes extended valuable help, for holding this ‘sabha’. 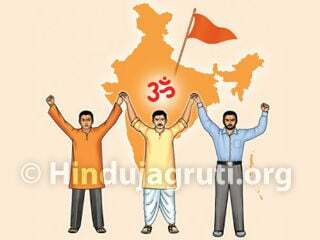 Hindu Rashtra will be certainly established if Hindus come together. Congress leader Rahul Gandhi, who used to belittle Hindus, has started going to temples due to unification of Hindus. 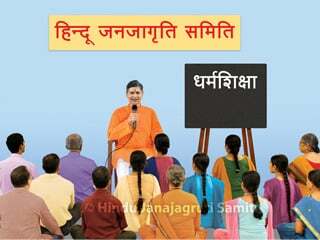 Political leaders will demand Hindu Rashtra after all Hindus unite, stated Shri. Balwant Pathak of HJS while addressing ‘Rashtra-jagruti Sabha’ held on 3rd February in the premises of Ganesh Mandir. The ‘sabha’ was attended by 55 devout Hindus. Few devout Hindus attending review meeting held after the ‘sabha’, showed interest in participating HJS drive against celebration of Valentine Day and in distributing 1500-2000 handbills for creating awareness amongst people. Few ‘jidnyasus’ said that they would sponsor 3000 handbills giving information on the above subject while some of them wanted HJS to conduct ‘Dharmashikshan’ classes in their area. Shri. Navanath Shejaval, the President of ‘Ashirwad Yuvak Vikas Mandal’ and its office bearers provided place for holding the ‘sabha’. Shri. Sunil Birmule provided tables and chairs for the ‘sabha’ while Krushna Decorators provide sound system for free. 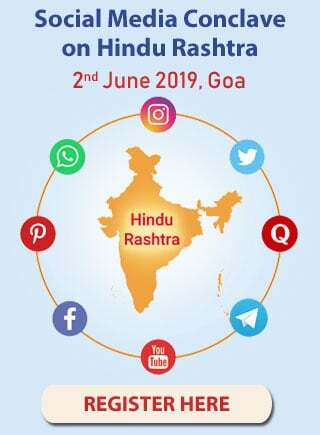 Hindu Rashtra is the only solution on problems like false accusations against Hindu Saints; unnecessary persecution of devout Hindu activists like Sadhvi Pradnya singh by investigating agencies and scams due to the Government taking over management of temples etc. Hindu Rashtra will follow Common Civil Code, stated Shri. Rohan Patene of HJS on 2nd February, during ‘Hindu Rashtra-jagrtuti Sabha’ held at ‘Dnyanadarshan Seva Sangh’. The ‘sabha’ was attended by 80 devout Hindus. Shri. Mahesh Gawankar, Dy. Shakha-Chief of Shiv Sena Shakha 77 said during review meeting held after the ‘sabha’ that place would be offered for conducting ‘Dharmashikshan’ classes and he would also try to start self-defence classes conducted by HJS. Few devout Hindus showed interest in holding such ‘sabha’ in their areas. Shri. Sitaram Wadekar, Vice President of BJP’s ‘Konkan Vikas Aghadi’ advised everyone to subscribe to ‘Dainik Sanatan Prabhat’ newspaper. Participating devout Hindus asked speakers in what way they would take part in activities related to protection of Hindu Dharma. BJP’s Ward-President Sunil Pawar, Shiv Sena group-leader Manohar Kap and Sudhir Shinde etc attended the ‘sabha’. Government which takes over management of temples with an eye on money collected in temples; but does not do any such thing about prayer-houses of non-Hindus, will not construct Ram-Mandir. For that, we will have to establish Hindu Rashtra, stated Dr. Uday Dhuri, Mumbai-spokesperson of HJS during ‘one-speaker -sabha’ held at Ferbandar, Cotton Green. The ‘sabha’ was attended by 43 devout Hindus. ‘Sangharsh Kreeda Mandal’ provided the hall and sound system for the ‘sabha’ for free and even showed interest in holding next program of HJS. Shri. Sukhdev Waman, the President of the ‘Mandal’, Shri. Ganesh Dant, Shri. Baban Sawant and other office bearers extended help in organizing this program. Hindus are facing grave problem of conversion. Christian missionaries have converted 1.5 lakh Hindus at Ulhasnagar. Christian population is only 2% in Panvel but there are 16 big churches; therefore, the Government should pass law banning conversion, stated Shri. 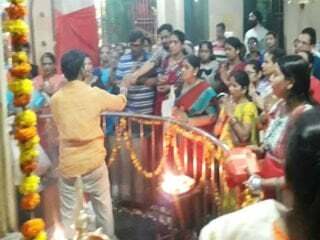 Rajendra Pavaskar of HJS while addressing a ‘sabha’ held at Hanuman Mandir, Shiravane in Sector 1. The ‘sabha’ was attended by 75 devout Hindus; including Shri. Dnyaneshwar Sutar, Shiv Sena municipal councilor and Shri. 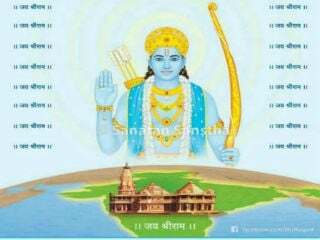 Shrikant Bhoir, its Shakha-Chief. Shri. Naresh Bhoir provided material required for the ‘sabha’ so also sound system without charging anything. Shri. Dnyaneshwar Sutar provided temple’s hall for holding the ‘sabha’. From 1275 to 1297, foremost amongst poet Saints of Maharashtra (a state in Bharat). Dnyānēshwarī, His commentary in verse form on the Shrīmadbhagawadgītā, is acknowledged as one of the world's greatest spiritual works.